CEBU, Philippines — Ever since she was crowned the first Binibining Cebu in 2017, Apriel Smith has been busier than ever. When not modelling, attending social events or judging competitions, she’s spent her down time with family, playing volleyball and going to the gym. While most followers expected her to sign up for Binibining Pilipinas again, Apriel instead joined last month Miss Isabel 2019 in Leyte – winning the title plus awards like Best in Gown, Best in Production Number and Best in Swimwear. “I strongly believe that everyday is a platform to learn, grow and achieve from different experiences. 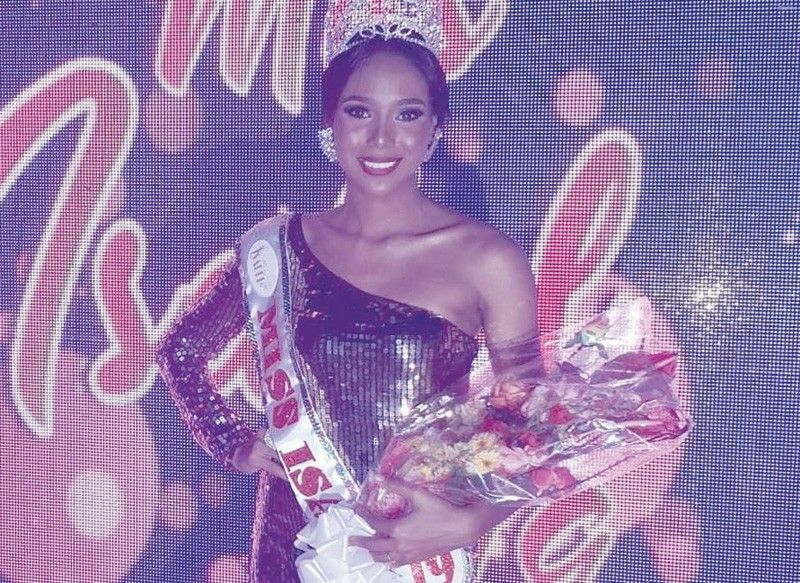 And joining Ms. Isabel 2019 is one of those,” the Lahug, Cebu City resident said. Asked what she thought of the impression that joining a municipality-level competition such as Miss Isabel was a downgrade to being a Binibining Cebu title-holder, Apriel replied: “I respect a person’s point of view because everyone is entitled to that. In my opinion, it always starts with a mindset. It is always how we want to see things,” she said. The Fil-Am beauty queen has racked up other titles such as Reyna ng Aliwan first runner-up, Miss Mandaue third runner-up, Sinulog Festival Queen 2012, Miss Milo Little Olympics 2010, Miss Dumanjug 2011 and Miss Cebu City Olympics 2012. She also became a Bb. Pilipinas Top 15 finalist in the year Maxine Medina was crowned Miss Universe Philippines 2016. Apriel has also officially announced that she will not be joining Bb. Pilipinas 2019. Her Bb. Cebu batchmate, Bb. Cebu Tourism 2017 Samantha Lo, is expected to screen for the national pageant this month. “I’m picking the right year when I’m joining Bb. Pilipinas again,” Apriel told The Freeman.